Luxury car brand Audi issued a public notice in a newspaper to all custo­m­ers, channel partners and the public saying that Zenica Cars India is no lo­nger authorised to undertake any sales bookings, collection of money, deposits, after sales service and/or any other dealings. 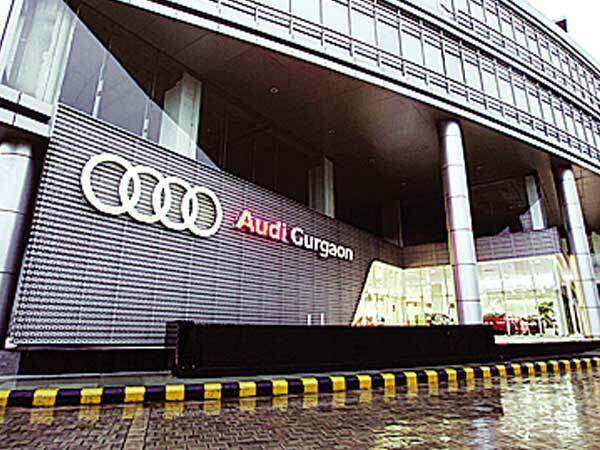 Zenica Cars India’s Audi Gurgaon, Audi Delhi Central, Audi Approved Plus, Audi Service Gurgaon, have ceased to be Audi authorised dealers with effect from September 5, the notice said. Zenica group also owned Porsche Centre Gurugram and employed 700 professionals in these centres, now facing uncertainty. The FIR named Zenica Cars India, Zenica Performance Cars, Rash Pal Singh Todd and Mandhir Singh Todd, who are managing director and director respectively of the companies, and group finance head Vaibhav Sharma. The FIR has been registered under sections 406 (criminal breach of trust), 420 (cheating), 468 (forgery), 471 (forging document), and 120B (conspiracy) of IPC. A team of EoW Delhi visited the company’s Golf Course Road office and car showrooms to gather documents. According to auto industry sources, Zenica group is the largest dealer of Audi and Porsche in India, earning more than Rs 500 crore from sales and service every year. It sells on an average about 150 Audi cars and 18-20 Porsche cars every month, accounting for a fifth of Audi’s total sales in the country. When contacted, Audi India and Porsche India did not respond. An email sent to Volkswagen group headquarters in Germany also remained unanswered till press time. According to the complaint, the Todds, who live in Gurugram, borrowed Rs 270 crore from a consortium of HDFC Bank, ICICI Bank, Canara Bank, J&K Bank and Volkswagen Finance starting March this year to purchase new cars, demo cars, used cars and spare parts. HDFC Bank alone lent them Rs 120 crore. Interestingly, the duo took the loan on the basis of balance sheets that showed profits, but in an email sent to HDFC Bank on August 28, they expressed their inability to repay the loan as they had suffered huge losses for the past four financial years. Sanjay Sharma, assistant vice-president of HDFC Bank, who filed the FIR, said to get credit facilities, the accused forged documents on the basis of which a huge amount of credit was released to them. He said the Todds had acted in a well thought out and calculated manner eyeing wrongful gain to themselves. “Verification by a third party has confirmed that the submitted documents were forged,” Sharma said. Sources revealed that the Todds allegedly sold over 32 demo cars bought with the loan and pocketed the money instead of repaying their lenders. Similarly, they also cheated lenders after getting loans for pre-owned cars. In 2006 also, UK media had reported that Rash Pal was linked to two car dealerships that went bust causing a loss of 76 jobs. He was the youngest Dealer Principal at Volvo UK, and went on to be managing director for various dealerships of Mitsubishi, Suzuki, Kia and Citroen over the past 30 years. He has won Volvo’s Annual Sales Campaign every year from 1983 to 2004. After achieving the zenith of the automobile industry in England, Rash Pal set his eyes on the Indian market and became the first official dealers of Audi in 2008 and Porsche in 2014.